Home > How To > How to check our own level of self esteem. 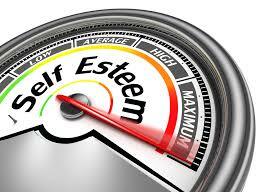 How to check our own level of self esteem. Try to understand the following questions and answer them honestly. You need not show the score to anyone ,if you don’t wish to. Here we go. Just answer Yes or No to the following questions. The number of questions you have answered in the negative is the index of your self –esteem. The more questions you answer in the negative, the more self-esteem you are supposed to have. But, even five negative answers would be enough to build on your sense of self-esteem.